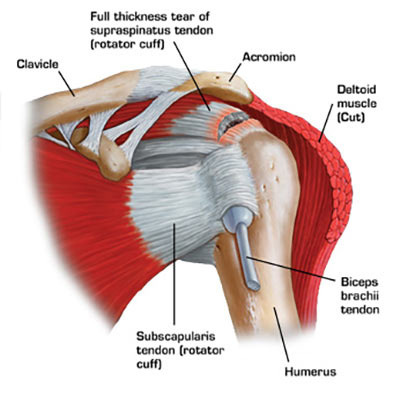 A shoulder injury can put you out of the game while you seek shoulder injury treatment. Your Midtown Manhattan sports medicine doctor treats common shoulder injuries and shoulder instability on a regular basis. He’s the best source for successful shoulder injuries treatment. Shoulder tendon injury treatment and shoulder instability treatment is designed to get you back in action quickly and safely. Come to our sports injury clinic in NYC and make your appointment today to get an accurate pain evaluation and treatment. Sore muscles or aches in your shoulders plague nearly everyone. The shoulder joint has the greatest range of motion of any joint in your body, and that makes it susceptible to injury or overuse. Problems such as wear and tear or the natural process of aging also create discomfort and lack of mobility. Your shoulder is a ball-and-socket joint with three main bones: the humerus or upper arm bone, the clavicle or collarbone and the scapula or shoulder blade. Ligaments, tendons and muscles hold these bones together. The bones and soft tissue also protect the large nerve bundles running from your neck down into your arms. Each element of this complex joint has the potential for injury. And if one part fails, for whatever reason, you may end up with shoulder instability. Then you need the expertise of your Midtown Manhattan pain management and sports medicine doctor. Your New York City pain care specialist begins diagnosis with a complete medical history, including any traumas or injuries, especially recently. He conducts a thorough physical exam of your shoulder, testing for tenderness, numbness and weakness. Your doctor may also order imaging tests such as x-rays, ultrasound, computed topography or magnetic resonance imagery (MRI). These pinpoint whether bones, discs or soft tissue such as ligaments or tendons are causing your pain. Your NYC pain specialist always recommends the most conservative, but effective treatment for shoulder instability and all other shoulder injuries. Surgery is a last resort, due to the risks and extended recovery time. Should you require replacement surgery, recovery can take up to six months, including the accompanying rehabilitative physical therapy. Stay in good health by stretching and doing daily range-of-motion exercises. Wear protective gear during sports or recreational activities. Don’t carry objects that are too heavy. Use a step stool when reaching for objects. Your Manhattan sports medicine doctor knows and understands the mechanics of your shoulder. He works to find the best treatments for your shoulder injury. If you follow his guidance, ‘ll get you back to a pain-free, active lifestyle, full of health and with a full range of motion. 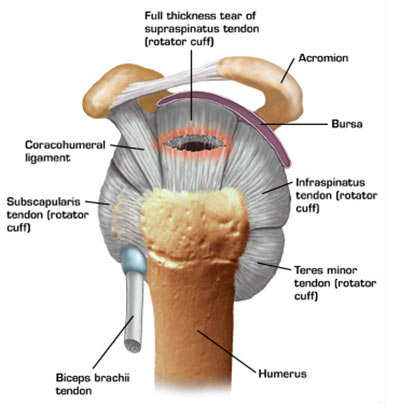 Do you have any questions about the shoulder injuries treatment we offer in NYC? 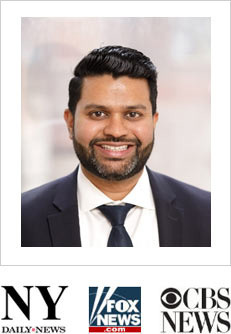 Would you like to schedule an appointment with the best rated shoulder pain specialist Dr. Febin Melepura of sports injury clinic in NYC? Please contact our office for consultation with the pain relief specialist in Midtown Manhattan.